Maureen Aku Disu is a mother, a nurse and a singer. Her song ‘Bloody Immigrant’ is gaining popularity and she recently featured as a guest on Derek Mooney’s radio programme on RTE. Ian Callagy caught up with the Nigerian-born woman and heard all about her efforts to challenge racism in Ireland and how society here can benefit from diversity. What led you to becoming a singer? Most people would know you from being a guest on Derek Mooney’s radio programme on RTE. Could you tell us a bit about your background? 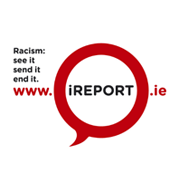 How did you get involved in the www.iReport.ie campaign? Do you think it is going to be successful? What’s the point in people speaking out about racist incidents? What personal experience have you had of racism? What do you like most about living in Ireland? “Honestly, organised society, organised society. What I mean is that Ireland is so organised compared to where I come from…I wouldn’t be excited to put my [native] country down, but I’m going to be honest in my answers. Nigeria is not organised. Ireland is organised…In Ireland I can sleep with my two eyes closed, in Nigeria you cannot sleep at night because you are worried. There is a high crime rate…When you walk down the streets you can’t tell what’s going to happen. There can be a protest, there can be killings, there can be tribal issues. It is not organised…It’s not peaceful. I’ve had experiences where people are killed and I was lucky not to be. In Ireland, even when you walk down the street and someone is racist against you…There is the assurance that you are in a society where racism is against the law. If I could find the man who said to me ‘go back to where you came from’ I could take it further. Something could be done. Our time is drawing to a close. Is there anything else you’d like to comment on that comes to mind?